Croda International is a global leader of speciality chemical ingredients, sold to a wide range of markets – from Personal Care to Health Care; from Crop Care to Coatings and Polymers. Croda’s products form vital ingredients in many ‘household name’ products and every day, every one of us will use a Croda product in some shape or form. Why do we have a STEM programme? Our goal is to “Inspire the Innovators of Tomorrow” about the importance of Science, Technology, Engineering and Mathematics in everyday life. Croda’s STEM activities form part of our Corporate Social Responsibility, where we aim to build positive relationships with the local communities in which we operate. What do we do to engage school students? We have developed a set of activities for both primary and secondary school children. The activities are themed around areas of science important to Croda, but focused on everyday life and designed to get children working scientifically. 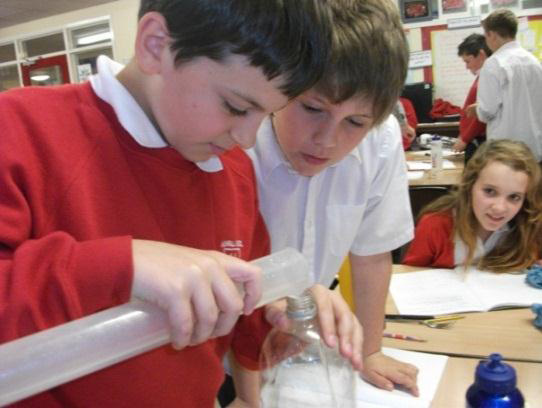 Teachers can run these activities easily themselves, or we offer an Ambassador scheme for schools local to our sites where we can come into schools to help deliver the activities and talk about what it means to work in an innovative chemical company. Whether you are a teacher, student or Croda employee looking to find out more information on the STEM programme, you will find lots of relevant information throughout this website. If you can't find what you are looking for or have any questions then get in touch.